Tindaloo in CyberSpace: Keep My Secret Well..
Papirplanetens utfordring #15. ~ for mars mnd. 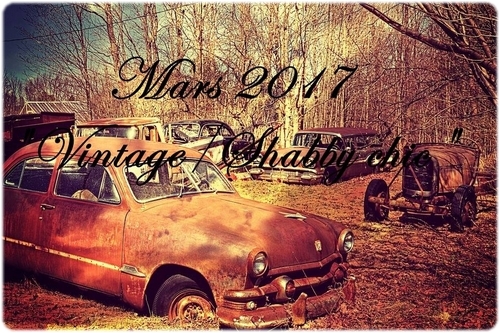 har 'Vintage og/eller Shabby Chic' som tema ♥ Vi håper du blir inspirert til å delta! Stamps/Images: Sweet Pea Stamps ~ Anna Marine's 'Keep My Secret Well' (high quality rubberstamp). Kort & Godt 'M-226', 'M-165', 'M-143', and 'M-198'. Papers: Bazzill cardstock. Plain white cardstock. Basic Grey 'Basics Manila' 6x6 pp. Tim Holtz Idea-ology 'Crowded Attic' 12x12 and 'Paperstash collage' 8x8 paper pads. Embellishments/Tools: Spellbinders™ Nestabilities 'Small Labels S4169'. Cuttlebug Anna Griffin 5x7 Embossing Folder and Border 'Foundry'. Sizzix Tim Holtz® Alterations Bigz Dies 'Weathered Clock'. Magnolia Doohickey's Dies 'Vintage Tag'. Simply Cards & Papercraft magazine #109. from 2013 'Butterfly Die'. Marianne Design Creatables 'Lord and Lady LR0211'. EK Success® Whale Of A Punch 'Large Circle 1.75' and 'Inverted Corner' punch. DoCrafts PaperMania silver adhesive stones, and Nille Memories rhinestones flower. Unknown charm / metal leaf embellishment. Basic Grey 'Hang 10' Ribbon. Techniques: I always use my Scor-Pal to score n fold my cards. I prefer Canson Montvale aquarelle paper (200 g/m coldpressed). My distress tools from Ranger Ink is always in use ~ Tim Holtz® Mini Ink Round Blending Tool & the Inkssentials Ink Blending Tool and Foams. I used misc. Luminarte Twinkling H2o's Shimmering Watercolors, and Tim Holtz Distress Ink pads & markers to watercolor and distress image and papers. Sandpaper and Tim Holtz Retractable Craft Scratcher from Tonic. Aleene's Tacky glue. Fabulous card with lovely stamp and beautiful metal detail. Beautiful card loving the detail, thank you for joining us at OLLCB. Beautiful card! Love the design! Thanks for sharing with us at Glitter N Sparkle! Pretty card!!! Thanks so much for participating in our LEMON SHORTBREAD challenge. Hope you participate in our next challenge!! Have a happy crafty day!!! Playing with my new Oxide inks!